Don't lose your save files when accessing the Mac beta! Details below! After playing Monaco: What’s Yours is Mine for the first time, we had to beg the question: “Would a level editor eventually make it into this game?” Just think of the all the possibilities for different co-op missions one could create if given the opportunity. Luckily for us, Pocketwatch Games actually listened to their fans and granted Monaco players the chance to design their own levels! There’s two major updates to Monaco that are now available as of today. 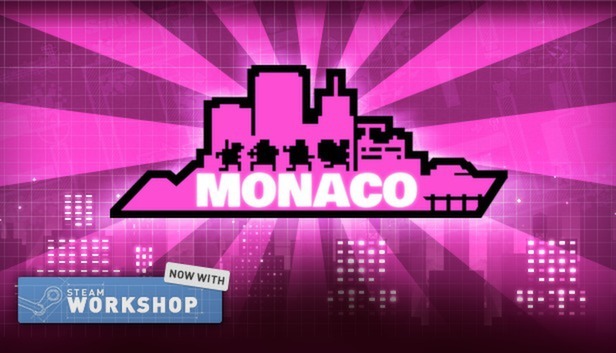 Firstly, PC players will now have access to Monaco’s Steam Workshop-powered mission editor, allowing them to finally design and create their own levels from scratch. It’s currently in beta form, so Pocketwatch Games is asking anyone to give it a go and help them test out this feature via the open beta. Change the dropdown box to Beta and click OK. The game should then update and you can try it out. After players take care of that, there’s nothing stopping you from trying out this awesome addition to one of the best indie co-op’s currently out there. Be sure to check out the small instructional video below detailing basic tips for designing a Monaco stage. Enjoy!